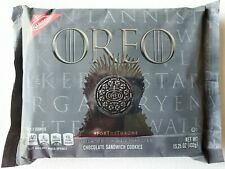 NEW NABISCO OREO GAME OF THRONES DESIGN COOKIES SHIPS FROM CANADA!!! 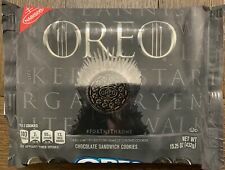 RARE GoT! Trending at C $16.32eBay determines this price through a machine-learned model of the product's sale prices within the last 90 days. A "Pokemon seal" is included as an extra. We appreciate your understanding in this matter. WAFFLE KOUKOU ROUKOU. It must be understood, that there is nothing we can do to protect against the chocolate being affected by the heat. Here you can get. Flavor : Original,Chocolate,Strawberry. Type : Sandwich Biscuit. Condition : New. Great baskets for holiday for anyone on your list. 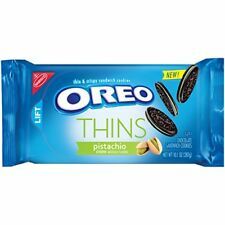 Oreo Thins Tiramisu Vanilla Delight Chocolate Lemon Cheesecake Cookies 95 g.
WAFER KOUKOU ROUKOU 20 pcs (full box). Milk chocolate contains at least 37% cocoa in dry form and at least 15% milk powder. May contain sulfites. It must be understood, that there is nothing we can do to protect against the chocolate being affected by the heat. Trending at C $15.51eBay determines this price through a machine-learned model of the product's sale prices within the last 90 days. Net Weight: 155g. Feature: 8 Colors (8 Flavors). Shelf Life: 12 Months. Japanese Rice Seasonings. "Katsuo Mirin". [ MY POLICY ]. NEW SEALED LENNY & LARRY'S THE COMPLETE COOKIE WHITE CHOCOLATE MACADAMIA 16 OZ BAKED NUTRITION 16G PROTEIN 8G FIBER NO EGGS, NO DAIRY, NO SOY, NON GMO, VEGAN. 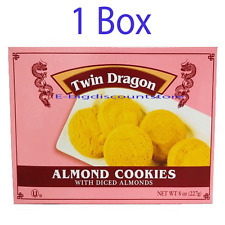 YOU WILL GET 1 BOX WITH 4 4OZ COOKIES 16 OZ TOTAL! 8x Sedita MILA, 50g/1.76oz. Now you will get 1 Mila wafer. Delicious Slovak Wafer with Fine Milk Cream Filling (70%) and Chocolate Glaze. 100 g Energy 2291 kJ / 547 kcal, 36 g fat, Saturated fatty acids 25 g, Carbohydrate 47 g, of which sugars 34 g, Fiber 3 g, Protein 8 g, salt 0.2 g.
Daelmans Original Dutch Stroopwafels Wafers Caramel, Honey or Chocolate 8.1 Oz. 4.5 out of 5 stars - Daelmans Original Dutch Stroopwafels Wafers Caramel, Honey or Chocolate 8.1 Oz. 20 product ratings20 product ratings - Daelmans Original Dutch Stroopwafels Wafers Caramel, Honey or Chocolate 8.1 Oz. 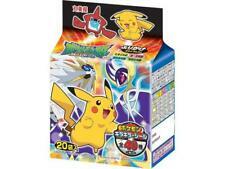 legendary koukou roukou wafer HIT from 90s Super price + free shipping! 10 x 40g 1.4oz. Food & beverages. Tom's Grocery. You get 3 pcs Vauquita Tableta De Dulce De Leche (weight = 25g x 3). Jumpys 12pack variety. 4 x Salt and Vinegar, 4 x Chicken, 4 x Original. 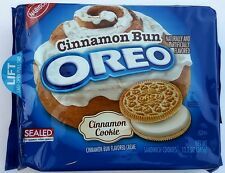 Filled Soft Cookies (272g) USA IMPORT.